Ketogenic Diet, also known as Keto Diet, is a low carb diet. Its main objective is to reduce weight which helps in several medical conditions such as diabetes and blood pressure. The benefit of Ketogenic Diet is that a person can easily reduce weight without going through starvation and living a normal life, while the other ways of reducing weight include tough workouts to burn excess calories on daily basis. In a normal diet when we eat carbohydrate, it is transformed into Glucose by our body to act as instant energy. This Glucose is put into blood to reach every cell in body. High glucose level in blood triggers release of insulin hormone, which let cells absorb glucose molecules and then converts extra glucose into fat and deposit it in different parts of body as an extra source of energy which can be used in emergency. In a Ketogenic Diet we starve our body for carbohydrates only, so that our body can utilize the fat stores and help in reducing weight. Why do we call it Ketogenic Diet ? Ketosis is a natural process, during which our body releases Ketones to extract energy from fat stores. Ketosis is initiated only when our body is not getting enough diet. Ketogenic Diet is named so only because it fools our body to initiate Ketosis. We do it by restricting the carbohydrate intake, and making our body rely on fat stores. How to plan Ketogenic Diet ? A Keto diet should have 70% fats, 25% protein, and 5% carbohydrate. Diet chart should be planned accordingly. Monitoring your net carb and total carb intake is most necessary. Usually most of the carbohydrates contain some fiber. If we subtract the fiber content from total carbohydrate, then we get the net carbohydrate. 20 to 30g of net carbohydrate is recommended in a Ketogenic Diet. Do not eat grains, sugar, fruits and tubers. 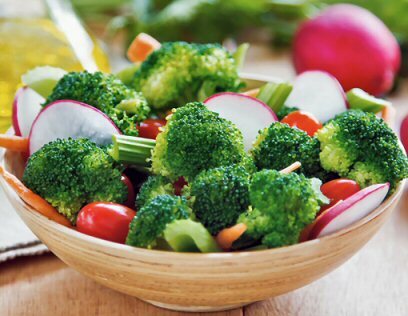 You may eat above ground vegetables, leafy greens, meats and high fat dairy products. Avocado and berries can also be used. Snacks are usually not recommended is a ketogenic diet, but if you can't resist then you can rely on nuts, seeds, cheeses, or peanut butter. 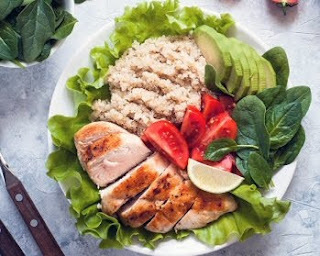 You must have understood by now that Ketogenic Diet reduces weight and saves you from obesity, which is itself a disease and connected to various others. Here we have listed a few other benefits of Ketogenic Diet. 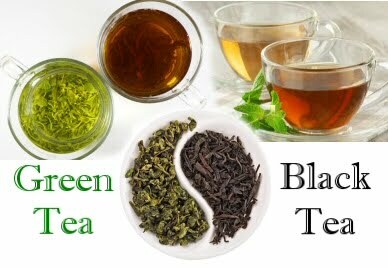 It reduces blood insulin level, which makes your body utilize fat stores and thus reduces weight. Blood Sugar level is controlled due to lesser amount of carbohydrate in diet. A ketogenic diet can benefit more than a low-calorie diet, if you are a patient of Diabetes. Weight loss due to this diet also helps in long term treatment of diabetes. Some researches have shown that high amount of fat hormones in body creates insulin resistance, which results in diabetes. Lowered amount of body fat due to Ketogenic diet can get you relief from Insulin Resistance as well. Ketogenic Diet burns the fat stores in body, which reduces the blood cholesterol and blood pressure is also controlled. Ketones are good fuel source for brain and increases mental performance and result in better focus and concentration. Epilepsy, a condition of disturbed nerve cell activity in brain, can be controlled through keto diet. Fats are better fuel for our body and keeps you running for longer duration and makes your stomach feel full. Thus Ketogenic diet is more satisfying and don't let you urge for snacks in between. Lesions and skin inflammation are reduced by Keto diet. During the first week of Keto Diet our body adjusts to the new type of diet and takes time in generating engymes for the digestive process. During this time our body consumes the blood glucose and existing glycogen stores, which makes us feel less energetic. Some people report headaches, mental fogginess, dizziness, and aggravation during this period. Ketogenic diet is diuretic which makes you urinate more often. It can cause water and electrolyte loss. Drinking plenty of water and maintaining sodium intake can help during this condition. Some people find it harder to transition into Ketogenic Diet and above symptoms appear more worse. Such people should reduce their carbohydrate intake gradually, instead of jumping suddenly into complete ketogenic diet. Ketoacidosis, a rare medical condition with very high level of ketones, can occur and some people may need medical intervention. However reaching this level of ketosis is very unlikely. Loss of magnesium cause cramps in the morning or at night. Frequent urination causes loss of water, which can also result in constipation. So drink plenty of water and add fiber in your diet. Physical performance will be reduced in the beginning of Ketogenic Diet. So reduce your workout during this time. You may go back to normal workout after few weeks, when you feel sufficient energy level. Hair loss during first few months is usually temporary, unless initiated by some other medical condition. BMI (Body Mass Index) is a standard way to measure obesity. You can calculate your BMI by using your weight and height and feeding it in the BMI Caculator given below. You can consider it as a free app for Windows and Android platform, as users on any device can access this page and calculate their BMI free of cost. The BMI Calculator provided here is free of cost and you don't need to install it in your device. Its readily available online on this page. You access it anytime 365 x 24 x 7 . All health conscious people should bookmark this page for future usage and open it again to calculate BMI of a friend or family member. You don't need to install any unnecessary app on your device. You just need to bookmark this page. You don't need to pay for it. You can measure BMI of anybody at anytime. You can check the visual image of yourself. It also tells you how much weight you need to reduce to get into a healthy shape. A number of people search for tricks to fool their digestive system. Most of the times these people are those who want to limit their food intake but they feel it impossible to stop themselves while eating. "How to feel full without eating" is a common question that such people ask google. The reason behind this question can be anything ranging from being overweight or fighting to get rid of diabetes or some heart disease or just to remain in good shape. The reason may be any but the main motive is to stop ourselves from eating extra calories that can increase our weight. We have done some research on this question to know if it is really possible to fool your digestive system and feel full without eating too much. We hope that once you read this article your question will be answered. It is harder to draw a line for the adequate amount of food a person needs as it depends on your height, gender and lifestyle. Two person with same physic may need different amount of food depending on how they spend their day. A person with more physical workload will need more food than a person with a sitting job. So it is our body which can tell us how much to eat. We just need to listen to it. There are two terms used in this article, you should know before you read further. 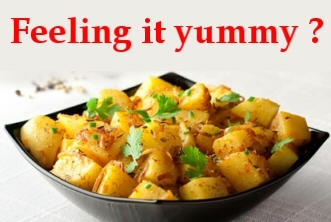 Satiation : feeling of fullness at the end of a meal. Satiety : a measure of how long it takes before you feel hungry again. Different types of food have different satiety value. No matter how hard you try, it is nearly impossible to fool your body. You may succeed in some aspects of your experiment but in the end you will find that you were fooling yourselves. The tips given below will help you in making a better coordination between you and your digestive system. It can help you in reducing your weight or keeping it at an optimum level. We have divided these tips in to sections named how to eat and what to eat. Drink a glass of water 30 minutes before a meal. Water rich foods like soup, fruits and vegetable will make a satiation feeling without consuming excess calories. Instead of using a big plate for dinner with regular amount of food, use a small plate which can be filled full with lesser quantity of food that you eat regularly. You will feel full in that lesser amount once you empty your plate. Try it some time. This trick works better if someone else do it for you. If you chew your each bite just 3 seconds extra, then you will eat less. When you chew your food more then some oro-sensory factor activates and sends satiation signals to brain much before your regular amount of diet. Avoid distractions like television, music, mobile phone or computer while eating. These activities make you eat for a longer duration. Distraction while eating interrupts the satiation signals between your brain to stomach and you end up eating more than required. Fiber has high satiety value as it takes longer to get digested. Fiber rich food can help you better in maintaining a gap between two meals. Same applies on fat as well. Adequate amount of fat is also necessary to slow down the digestion process and let your body absorb some fat soluble vitamins from your diet. Protein is given most importance by bodybuilders as it is a muscle building food. Protein in diet also increases the peptides level in stomach which talks with brain to send satiation signals. 20 to 40 grams of protein is must in every meal. Refined carbohydrates should be avoided as they are the satiety killers due to absence of fiber and some other essential nutrients. You might have noticed that once you start eating some processed food (rich in refined carbohydrate), the feeling of satiation comes when you have eaten much more than required. Don't eat too much sugar in a single diet as it causes rapid spike in insulin and after some time you crave for more food. Even if hunger hits in between your regular meal timings then you may eat some snacks. But your snack should be rich in fiber and protein and must be under 200 calories limit. If you have got a healthy body then it will tell you what you need and when you need. Just listen to it. You never need a timer to drink water, your thirst is the inbuilt mechanism in the body to tell you that it needs water. Some people may consider these tips as way to fool the digestive system but these are mere tips to eat good and stay fit with lesser amount of burden for your digestive system. Do you think Chubby kid is Healthy ! Rethink ! 95% parents of overweight kids think that their kid looks right. Only 5% parents consider that overweight as a health hazard. Parents often care for their kids too much then required, but it becomes a problem if you don't look at the weight. Parents can't notice the weight gain as the kid is always in front of them. Most of the time parents of obese kids think that their kid is just healthy and feel proud of their chubby cheeks and also feel that they are doing good parenting. Chubby cheeks are good but only up to a certain extent. If your baby is getting obese then it can not only affect other development activities but can also make him/her sick. A number of researches are done on childhood obesity and what parents think about it. Outcome of most of the researches is that most of the parents don't consider their kid as overweight while he/she is. This perception of parents either comes from increasing number of overweight kids which are being considered normal or from their own ignorance. Whatever the matter is, the truth is that parents need to change their perception and consider overweight as overweight. Unless you acknowledge your kid as overweight, you can't do anything to get him/her back into shape. 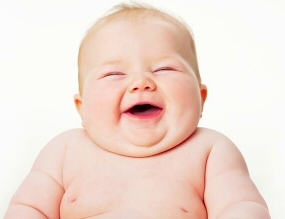 In movies you might have seen fat kids turning into perfect adults but in real world fat babies turn into fat adults. Even if that ratio is not 100%, the chances are still higher. Eating habits are something hard to change, which is usually the major reason behind being overweight. Under the age of 2 years and an adult there is no direct correlation of weight. but after the age of 2 it matters. Its better to keep an eye on your kid's weight. Why do some babies become overweight or obese ? Overfeeding: When it comes to babies, parents can't let him/her cry and mothers often offer them breastfeed / formula milk more than required. Sometimes babies need just some sort of entertainment or physical activity to get rid of their boredom, but parents think that it is due to hunger. Overeating: Overfeeding can easily turn into a habit which can transform into overeating as the baby grow and starts eating himself/herself. Ignorance of parents: If parents notice the kids being overweight at the right time then they can take steps to keep their weight in check. But of the parents don't take it seriously or just ignore it which becomes a major reason of overweight or obese kids. Hormonal imbalance: Sometimes kids become obese due to some medical conditions like hormonal imbalance. But in such cases medical intervention can help the kid. Inherited Obesity: Sometimes obesity is in the genes, where most of the family members are obese or overweight. When your baby tuns to solid diet, decrease the number of milk feedings. For kids above the age of two, its better to keep their diet in check and don't let them over eat. Watching TV and eating at the same time can disrupt the eating pattern and kids often eat more. especially when there is some food that they like. Inactivity and video games should not be encouraged among kids, which is a leading reason behind obesity in kids. Instead you should encourage your kids for outdoor games or some physical activity. If overweight of your kid is due to some medical condition then consult your doctor for it. There is no harm in having a baby with chubby cheeks as babies need more body fat compared to an adult but it becomes an issue only when weight grows more than height. Keeping a chart to compare your child's weight and height is a good habit. If you are diabetic or trying to lose your weight or both then you must have heard about Artificial Sweeteners. Artificial Sweeteners are a substitute of sugar but with no calories. Therefore millions of people purchase these artificial sweeteners to fool their bodies. These sweeteners satisfy their urge to eat something sweet but with no calories. Most of us don't know that these artificial sweeteners are actually degrading your health. But how ? The answer might surprise you. 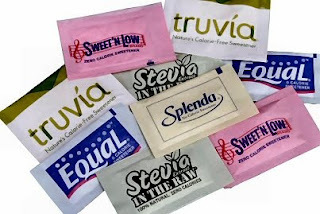 Betterhealthfacts.com has collected some facts about the disadvantages of artificial sweeteners. After reading these facts a health conscious person will never use them. What are Artificial Sweeteners ? Artificial Sweeteners are chemical compounds than are edible and give a false feeling of sweetness on your tastebuds. They have no nutritional value, thus no calories. Diabetic people use them to keep having the taste of sugar. Even some health conscious people, who count every calorie they eat, use them to stay away from calories. Some artificial sweeteners are 20000 times sweeter than sugar, i.e. one table spoon of such artificial sweetener can sweeten 20000 cups of tea / coffee. Where are these Artificial Sweeteners used? Saccharin: 700 times sweeter than sugar. Steviol glycosides: 400 times sweeter than sugar. It is a low calorie sugar. How does Artificial Sweeteners harm diabetic people ? While eating Artificial Sweeteners we think that we have fooled our body as it is sweet but with no calories. In reality we fool ourselves. We will tell you how ! There are two ways in which they cn harm you. After regularly having artificial sweeteners, diabetic people often find an excuse to eat unhealthy food sometimes thinking that they have already saved many calories and eating a pizza won't harm them. Such psychology is found in most people and in long run it leads to more weight gain compared to those who don't have artificial sweeteners. When we eat anything with artificial sweeteners, our body think that it is sugar and releases insulin in high amount to utilize the calories. Over amount of insulin turns on the fat storage mode of our body and as we consume any diet most of the calories are turned into fat, making us more obese. Harms taste buds: Artificial Sweeteners are much more sweeter than normal sugar and it harms our taste buds. It leads to a situation where we can't find any taste in fruits and vegetables. Lack of nutrition: As we find find nutritious items less tasty, we avoid eating them automatically and it leads to lack of nutrition. Apart from it, artificial sweeteners are themselves non-nutritive. Addictive: Researches have proved that Artificial Sweeteners are addictive and those who eat them crave for more. Over usage: FDA and different health agencies have set some standard usage quantity for these artificial sweeteners, which is usually not followed by consumers as they treat them totally unharmful due to their zero calories. Headaches: Some studies have found that some people reported headaches like migraine after consuming drinks with artificial sweeteners. Increases Obesity: Artificial Sweeteners make our body release more insulin than a normal person and it turns our body into a fat storage machine. May cause Diabetes: Obesity is a leading factor for Diabetes Type 2. Apart from that, a research done in Israel found that artificial sweeteners can cause Glucose Intolerance which is connected to Insulin Resistance, a leading cause of Diabetes. Transfat: The artificial fat is another gift of chemistry to our kitchen to degrade our health. Instead of eating artificial foods items prepared in a laboratory, its better to stay natural. Its better to restrict yourself from unhealthy lifestyle / food and motivate yourself for healthy lifestyle and food. Its better to enjoy the sweetness of fruits rather than destroying your taste buds with artificial sweeteners. How Low Calorie drinks are making you Sick ! Low calorie drinks are the latest addiction that is making our young generation sick. People go towards these drinks thinking that they are beneficial for them, but the results are totally opposite. The truth we found is that these low calorie drinks are just chemical cocktails that provide a taste of sugar and make you addict. 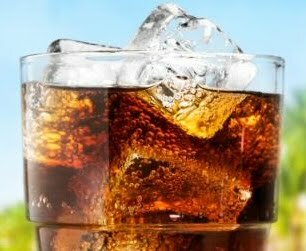 Betterhealthfacts.com found some interesting facts about these low calorie drinks and some of them will make any health conscious person to totally stop drinking them. Are zero Calories really useful ? Zero Calorie is just a myth. Even the water in your house is a zero calorie drink with lots of nutritional minerals in it. But soft drink companies advertise their low calorie drinks as a new health discovery and you get fooled by these chemical drinks and later get addicted to them. How low calorie drinks degrade our health ? Artificial Sweeteners: However Artificial Sweeteners are low in calorie but they are extremely sugary in taste. Their over usage damage or affect your taste buds in such a way that you can't find taste in fruits and vegetables any more. It affect you complete diet and it does not remain balanced, which affects you health to a great extent. Over Insulin and Obesity: Artificial Sweeteners can also make body to release insulin, which can easily turn the calories in blood into fat leading to obesity. According to a research in University of Texas those who drink diet coke, a zero calorie drink, reported 70% more increase in waist compared to non drinkers. No Nutrition: Water is a no calorie drink but contains important minerals, but these low calorie drinks don't even have these minerals as they use purified water to increase their shelf life. Reduces Immunity: Most of the zero calorie drinks contain purified water with no minerals in it. It makes of body deficient of important minerals which are essential for all metabolic activities. In absence of these minerals our body can't absorb vitamins from our diet making our immune system more weak. Addiction: Just like addiction of smoking and other drugs, you can easily fall pry to addiction of low calorie drinks thinking they are making you healthy while the reverse is happening to you. Tooth Erosion: Tooth erosion is a habitual diet soda drinker is of same level as a cocaine-user or a methamphetamine-user. It is sufficient to tell you how your smile will look like if you are a regularly drinking low calorie drinks. You try to fool your body but get fooled yourself. You consume zero-calorie drinks thinking that won't harm you and your body will treat it as sugar, but the insulin released in your body turn you into a fat storage machine. Another psychological factor plays more important role in fooling yourselves. After drinking low calorie drinks on regular basis, you think that is OK to have a pizza or cake sometimes as you have already reduced enough calorie intake, but it leads the surplus calories. Why should i stop drinking low calorie drinks ? If you want to save yourself all of the above health hazards then you should stop drinking low calorie drinks. Instead you should drink more water, which is a no calorie drink and it also provides minerals which are necessary for your body. Body Fat is an important factor in both men and women to live a healthy life. But as we check the standard amount of fat that should be there is body of a man and woman, we find that its 27% for women while just 15% for men. Women need more body fat percentage than men to live a healthy life. Some people believe that women have lesser muscle mass compared to men, so the body makes balance through fat. Betterhealthfacts.com did some research on internet and found that there are much more reasons that we totally ignore. 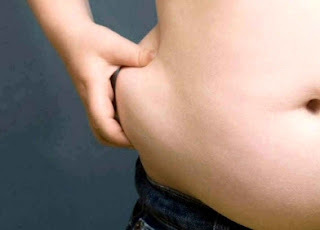 You will be surprised to know why women need extra fat in body compared to men. 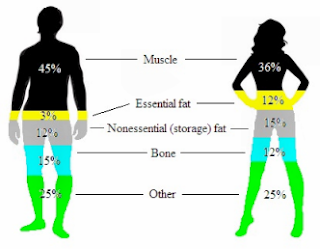 Out of the 27% standard body fat for women, 12% is essential fat which much be there to survive. That essential fat percentage in men is just 3%. Higher Fat percentage does not always mean that a man will have less fat than a woman. Fat mass of an overweight man will be always above a slim woman. Woman's body is considered better if it have good curves and fat solves this purpose. Fat also provides softness to the skin. Female hormones can easily convert fat into food. At some point in life women always need to nourish a fetus and then feed a baby. The fat reserve in female body is heavily used at such time. Breast region in females is heavier than man as fat is an important part of breasts. Women need fewer calories per pound of body weight due to lesser muscle mass percentage and higher body fat percentage. Lack of fat in the body of a women can cause hormonal imbalance and temporary absence of ovulation and therefore no periods at that time. Its a natural process to avoid pregnancy as the body is not ready to nourish the fetus. Obesity that comes due to pregnancy is sometimes harder to lose as women take more care of their kid and don't get enough time to look after themselves. Birth control pills also increase the fat and water amount in the body of a woman. Therefore a women on birth control pills should decrease her caloric intake (diet) by 10% to avoid getting excess fat. Women are more prone to depression which can easily result in getting obese. Women go through menopause at a certain age in life. Sometimes it can cause depression, which is a leading cause of obesity. We hope that you know why women need a higher body fat percentage. Women is the key to survival, so respect them and love them. If they gain weight at a certain age then take measures to keep the weight in control without affecting their health.